오늘도 Leora Andersen이 여러분과 함께 합니다. 리오라 선생님, 오늘은 어디로 가볼까요? We're going to go to Salt Lake City, Utah. 소금 호수의 도시, ‘Salt Lake City’, 유타 주의 주도 솔트레이크시티를 찾아가 보겠습니다. 바닷물보다 짠 소금물이 커다란 호수를 이루고 있는 ‘Great Salt Lake’가 있는 도시라고 해서 붙여진 이름이지요. ‘Great Salt Lake’가 있는 유타 주의 북부지대는 소금으로 인해서 전체가 눈으로 덮인 것처럼 온통 하얗지요. 이 ‘Great Salt Lake’의 동남쪽 언저리에 ‘Salt Lake City’가 있는데요, ‘Salt Lake City’는 기독교의 한 교파인 모르몬교로 잘 알려져 있지요. Salt Lake City is the home of the Mormon Church. The Mormon Church is also called the Church of Jesus Christ of Latter-day Saints. But it's more commonly referred to as the Mormon Church. Many times you'll see especially men, and they always wear black suits and white ties, I mean, white shirts with a black tie. 가끔씩 길거리에서 말끔하게 정장을 차려 입은 신사들이 둘 씩 짝을 이루어 다니면서 선교활동을 하는 모습을 볼 수 있지요. They many times knock on your front door and try to give you little information in a little pamphlet about the Mormon Church. And it always seemed to happen right about when it was time to sit down and eat dinner or right when you were in the middle of something. Usually it was bad timing. But they were trying to inform people about what the church represented and tried to convert people to join the church. Yes, there's a lot of Mormons that do live in Salt Lake City. 모르몬교 신자들은 커피나 탄산음료수를 마시지 않고, 담배도 안 피는 걸로 알고 있습니다. There're certain traditions that Mormons believe in. And I think the caffeine and coffee is something that they don't partake in. And of course they don't drink alcohol. They follow the Book of Mormon. 다른 교파와 해석을 달리하는 부분들이 있는 것으로 알고 있습니다. 그리고 모르몬교 하면 태버내클이라는 곳이 유명하죠? 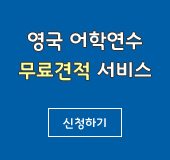 태버내클은 예배당인데요. 대형 파이프오르간과 실내 음향 설계가 잘 되어 있는 것으로 알려져 있습니다. They have a large organ, and it's very beautiful to listen to them sing. 파이프 오르간은 북한말로는 ‘관풍금’을 말합니다. Because of the acoustics in the Tabernacle it's been said that if you drop a pin, you can hear it all over at the Tabernacle. It's very, very beautiful to listen to the choir sing. Salt Lake City is the home of the Mormon Tabernacle Choir. It's very traditional to watch different like Christmas Eve or Easter service, church service that are broadcast from the Mormon Tabernacle. 종파가 다른 사람들도 이 모르몬교회 합창단의 연주를 즐겨 듣는군요? Different denominations still like to listen to the choir because of the beautiful voices and beautiful music. ‘Mormon Temple’이라는 모르몬 교회당도 관광지가 되고 있습니다. 유타 주에도 가 볼만한 곳이 많지요? Some of the places that you might want to go to when you visit the state of Utah would be the Bryce Canyon, which has beautiful red rock and landscapes. And it's in the Southwest portion of Utah, and the Zion National Park. Those are both located in the Southwest portion of Utah. In the north portion of Utah there are some beautiful Bear River Mountains and the Golden Spike National Historic Site. Park City is part of Utah, and that's a very famous ski, snow skiing resort area. I have a friend that owns the condominium there and goes there skiing. And they compete with snow skiing industry in the Rocky Mountains quite a bit. That’s kind of a new trendy place to go instead of going to Colorado and the Rocky Mountains, a lot of people are now going to Park City, Utah and snow skiing there, too. 예전에 전설상의 거인 폴 버년에 대해 이야기한 적이 있지요? 발자국 하나가 호수를 이룰 만큼 거대한 나무꾼 거인인데 도끼로 그랜드 캐년을 깎아 만들었다는 전설이 있다고 했죠? Yes, we've talked about Paul Bunyan before. And there's a famous tourist attraction in Utah that’s called Paul Bunyan's woodpile. And it's really a cluster of lava logs that formed about 30 million years ago. The Brigham Young University is named after the founder of the Mormon Church and is located in Salt Lake City, Utah. 웰컴투아메리카, 오늘은 유타 주의 솔트레이크시티와 유타 주의 명물에 대해 알아봤습니다. 지금까지 저 박형권이었고요, 리오라 앤더슨과 함께 했습니다. 다음 주 이 시간에 다시 찾아 뵐 때까지 행복한 한 주일 보내시기 바랍니다. 안녕히 계십시오. Bye, everybody! Thanks for joining us.